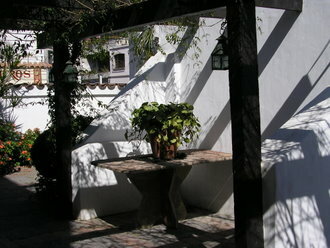 Casa Pajarito was the home for 35 years of Guillermo Velarde Mors, (1895 - 1965), known as Pajarito (Littlebird). The scion of a wealthy Salta family, he was educated as a lawyer and worked as a banker until he retired at age 37 to devote his true energy managing two folk/tango/samba music groups that became famous in Argentina. 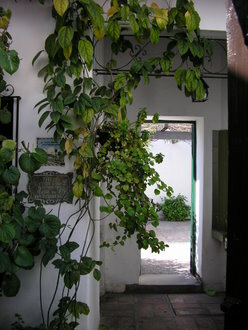 His tiny 1750 house, with a large courtyard garden, became a salon for writers, artists and musicians. Counted among his friends was Tango master Carlos Gardel and five-time Formula One champion Juan Manuel Fangio. 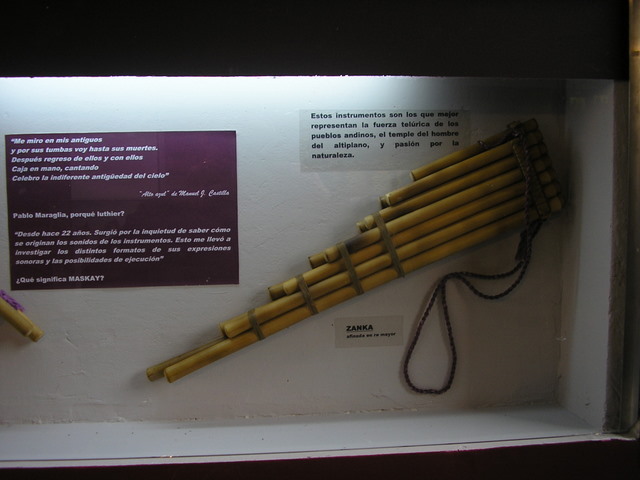 His house contains beautiful art, a priceless recording library of early Argentine music as well as objects from pre-Columbian pottery to Spanish weapons - most of the collection was gifts from his friends. 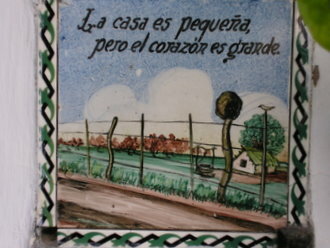 The guide and curator was especially passionate about Pajarito and his place in Argentine cultural history. Photos of the interior are not allowed. Open Monday - Saturday. Small admission charge. 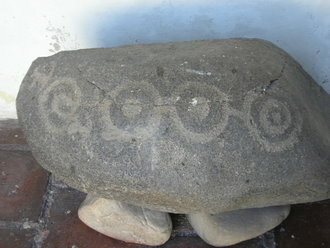 In 1999 a team of scientists discovered an Inca sacrificial burial site atop 21,000 foot Volcan Llullaillaco. 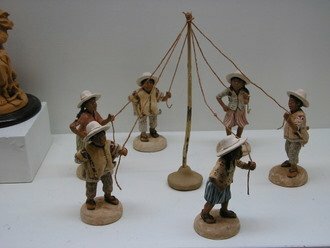 The The Llullaillaco Children exhibit is a rare opportunity to glimpse into the rituals of the High Andes. The dry climate of the Andean Northwest has preserved hundreds of sites with artifacts ranging from ancient brightly colored cloth, to dishes, dolls, gold and silver objects and entire mummies at burial sights. This area of the Andes was densely populated with indigenous people long before they were absorbed within the Inca Empire in the 15th century. Photos of the interior not allowed. Open Tuesday - Sunday, small admission charge. 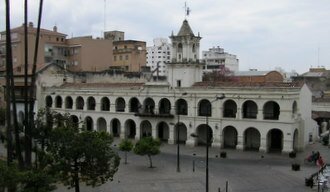 The Old City Hall, portions of which date from the early 1700´s, contains the Museo Historico del Norte. 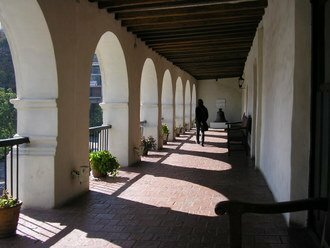 The varied collection spans the centuries with ancient petroglyphs, religious carvings, 18th and 19th century art and 300 years of architecture that is the building itself. 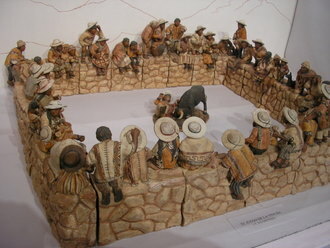 On our visit there was a special exhibit of superb clay sculptures of both indigenous and Argentine everyday rural life. 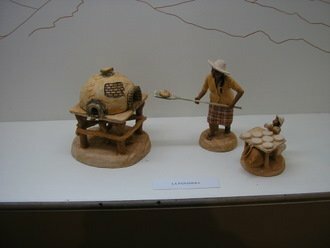 Miguel Mendoza,, the renowned Jujuy sculptor, was present creating new pieces during the exhibit. 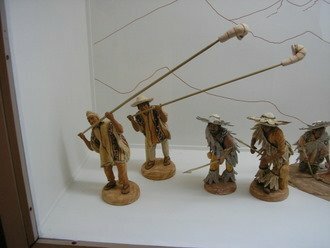 The quality is fine art, not the mass produced figurines you find in all the shops. 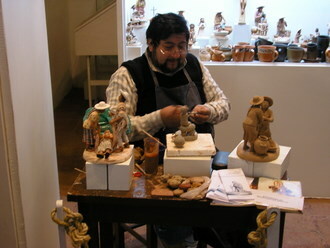 His work is found in Salta and Jujuy high end shops. Open Tuesday through Sunday. 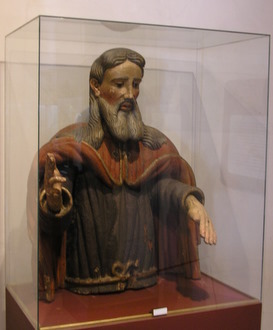 Small admission to the Museo Historico del Norte. Dr. Liliana Madrid de Zito Fontan is a tall striking women who has devoted her professional career to the study of the Andean indigenous cultures that became incorporated into the Inca Empire. Her interest has not been in their political history but rather in what made their lives important - their art, jewelry, textiles, kitchen ware, pottery, religious iconography, musical instruments, and economic activities. The Museo de Arte Etnico Americano Pajcha is her private museum and more complete and professional than most ethnographic museums in Argentina. 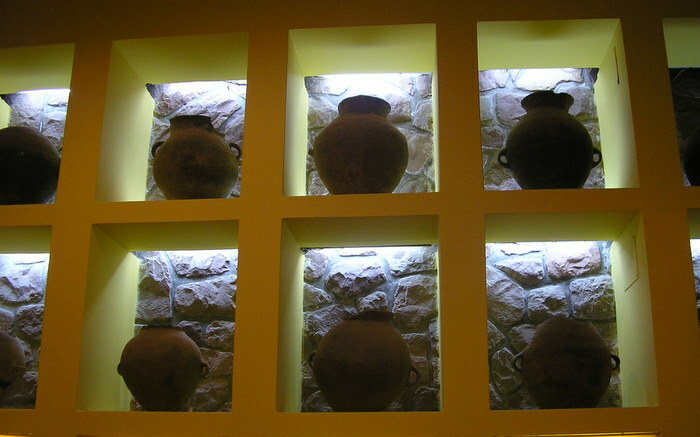 The exhibits are superbly displayed with detailed explanations and guided multi-lingual tours. In 2010, the museum should be reopening in a much larger townhouse just across the street from its present location. 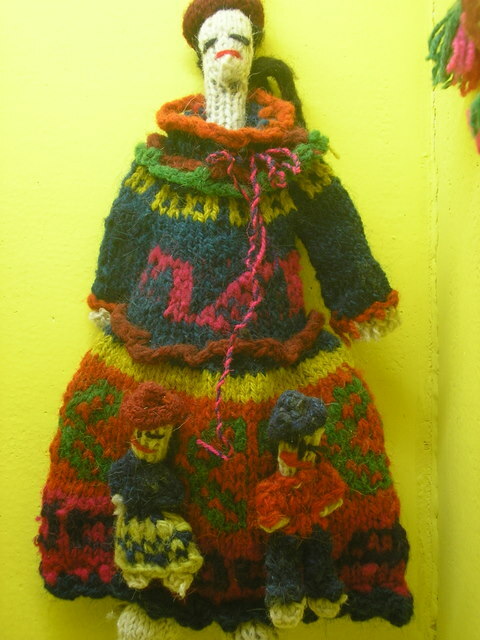 Their gift shop sells excellent reproductions of Andean crafts and, especially, silver-plated jewelry. The quality is definitely a cut above the average reproductions! Photos of the interior are not allowed. Open Monday - Saturday. Admission: AR$10 (US$2.65). Located just a couple blocks from the Balcarce restaurant district. 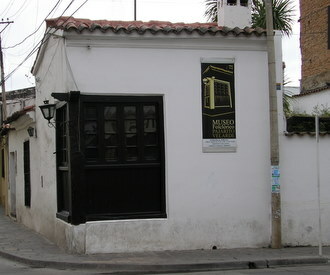 Museo Antropologico Juan Martin Leguizamon, Calle Ejercito del Norte & Ricardo Sola. Museo Antropologico Juan Martin Leguizamon, ocated in a fashionable neighborhood in this northwest Argentine city, ascending Cerro San Bernardo, is Salta's largest ethnographic museum. Housed in a handsome modern building, it has nice views of the city and an attractive gift shop. 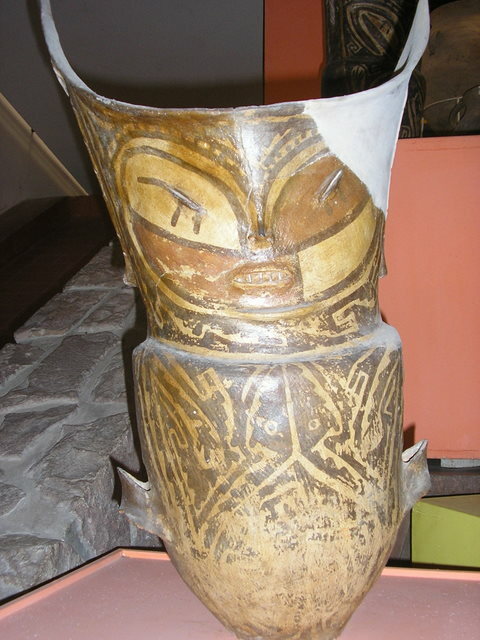 Although I believe The Museo de Arte Etnico Americano Pajcha, contains a greater variety of exhibits, the Museo Laguizamon contains an admirable collection of pre-Columbian pottery, textiles and musical instruments. Open 7-days a week, small admission charge.